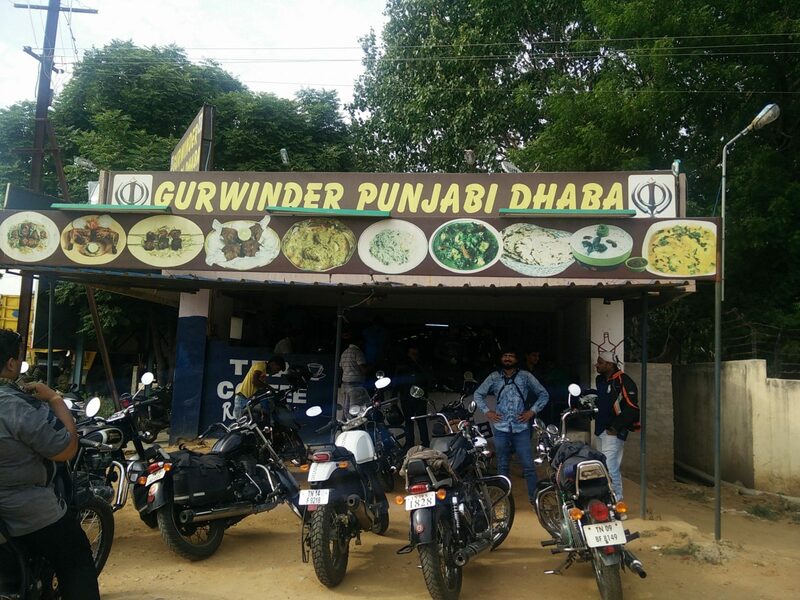 While returning back from a ride, we stopped by at the Gurwinder Punjabi Dhaba next to the Ranipet toll. Being a large group, it took us a while to get seated. They have the typical wired cot seating but we opted for the usual chairs coz we very badly wanted to rest our back on something, courtesy the ride. We got a couple of Rotis along with Chicken curry, Dhal, Channa curry and Egg masala. We also got ourselves a portion of Ghee rice and Chicken fried rice. The food was amazing and minus the out-of-place Chicken fried rice everything else was lip smacking. The highlight was however the chilled lassi and spiced buttermilk that we had in the end. After a day in the hot sun it was more(u) of a blessing in disguise. The total bill amount was Rs. 2330 which was about Rs. 145 per person. A long drive, dhaba cots and some good food. How else can a weekend get better? Just getting back from another satisfying meal at Gurwinder Dhaba next to Ranipet toll, about 100kms from Chennai. Ordered some desi breads along with butter chicken. Loved them as always. Had a bad experience with their rice dishes on my previous visits so opted for a Tandoori chicken this time. It was okish. And of course, the meal here cannot be complete without their famous Lassi or buttermilk. This time, I went for their Lassi which was super delicious and an awesome thirst quencher for the current weather. The total was Rs.370 and IMO it’s pucca VFM.